In my real life I have a lot of exposure to large aircraft and their required maintenance. The FAA has four levels of periodic inspections to keep the general public and military aircraft users as safe as possible; A, B, C, and D checks. A-checks are the least comprehensive and occur frequently. D-checks, on the other hand, are extremely comprehensive, involving major disassembly, removal, overhaul, and inspection of systems and components. D-checks may only be done a handful of times in the life of an aircraft because the expense may not be worth the value of continued use. During a D-check the aircraft needs to have every fastener, nut, wire, hinge, and component inspected, repaired, maintained, or replaced. Because of the high cost and length of time, maybe 50,000 labor hours, required, older planes may not be worth going through this process, and will be scrapped for parts. It’s almost sad to think of all the great cars that have been parted out throughout history like Ferrari Dino’s that were not even considered Ferraris at one time or the Austin Healey 100s’ that have seen prices skyrocket over the last decades. I pulled over to look at a Triumph GT6+ parked along the road for sale not long ago and had to really control myself not to buy it. I mean, it was only $500, how bad can it be? I came to the conclusion that it was probably pretty bad once you get into it and it was probably time to part it out. Well, while I continue to prepare my garage for my new MG Midget “D-Check”, I’m going to start with the simple visual inspection. 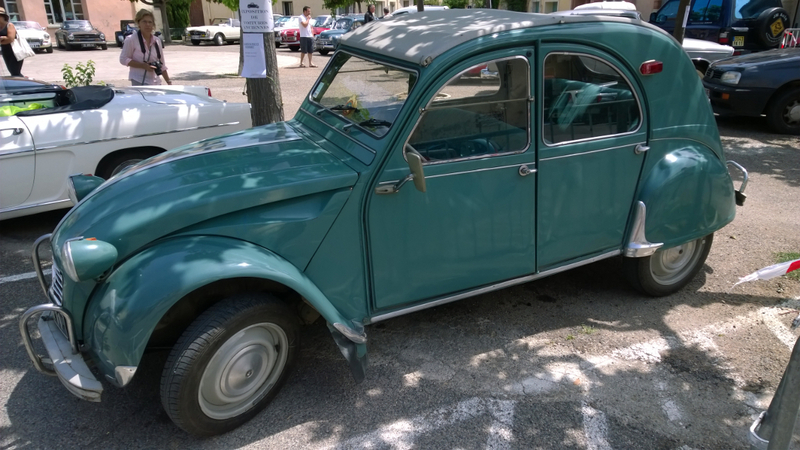 I then plan on tearing the car down and doing an amateur restoration but, there are the obvious things I know I’ll need to do…. New paint, new interior, new brakes (I had to drive it off the truck and into my property in reverse because the brakes were frozen and the car wouldn’t drive forward), it will need new side curtains and rubber, all the bright work will be refinished, but there will be many things I discover as I tear it down that will make me regret my decision more than once I’m sure. Since I haven’t got the garage ready for the work yet, I’m going to start my documentation of my amateur restoration with my visual inspection. Ouch… Passenger floor boards need replaced, but it shouldn’t be a surprise since these early Midgets aren’t exactly watertight. The original seats and coverings appear to still be in place as was the carpet before I tore it out for a little closer inspection of possible rust. The new interior color will be red. The dash doesn’t look too bad if you like wood grain vinyl. I think it was probably originally vinyl covered but probably in red or black. I’m hoping I can have powder coated metal. The steering wheel looks alright. Everything looks pretty original under the hood, but there is a lot of cleanup and painting that needs to take place and probably replacement of many of the bolt-on parts. The MG Midget was produced by the MG Car Company in 1961 with a price tag of £669. The last car rolled off the production line in 1979 after British Leyland had taken ownership of the company. 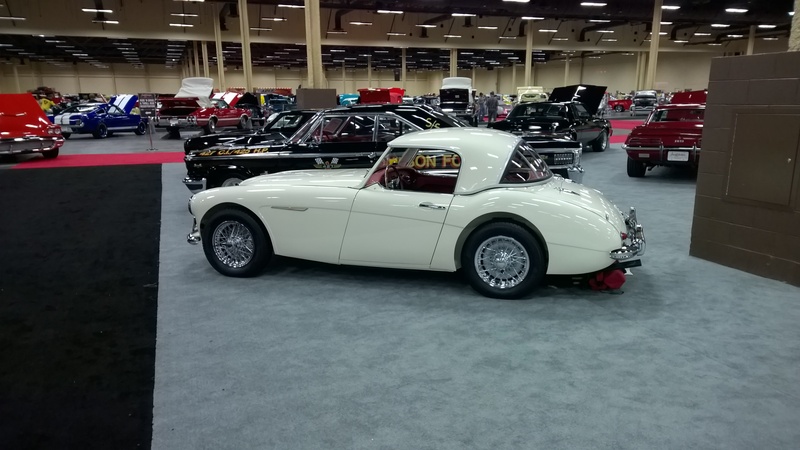 Midget model was originally used in the 1920’s to describe the C Type Midget followed by the D Type, J Type, the TD Midget, and others until the TF Midget in the 1950’s. Today the first Midgets are almost never referred to as Midgets and the MG model of Midget usually refers to the cars made between 1961 and 1979. 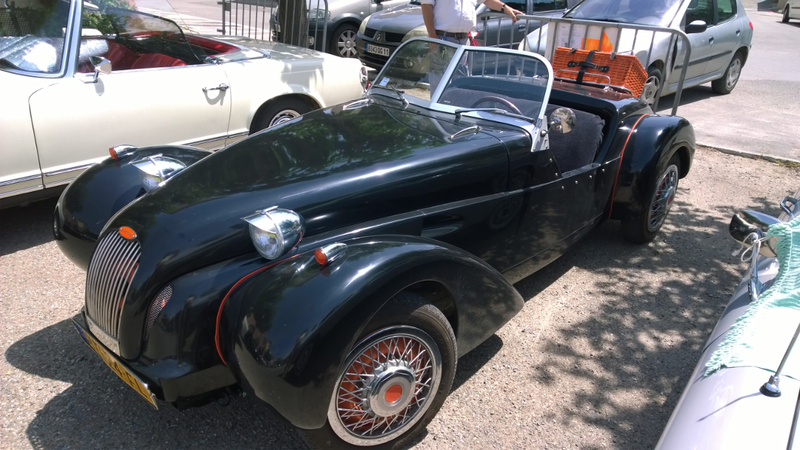 It was the Midget series that established MG as a manufacturer of sports cars in motor sport in the 1920’s. The Midget MK1 was really a re-badged Austin Healey Sprite MK2 that originated from the Frogeye or Bugeye Sprite (MK1). Sprites and Midgets are often considered one and the same car and are called Spridgets by many. The MG Midget Mk1 and Austin-Healey Sprite MK2 were introduced in 1961 with a 52 bhp 948cc A Series engine, sliding plexiglas sidescreens in the place of roll up windows, and a convertible top that needed to be completely removed with its frame and stored in the trunk. There are no external door handles requiring the driver and the passenger have to slide the side window open to reach inside to open the door. 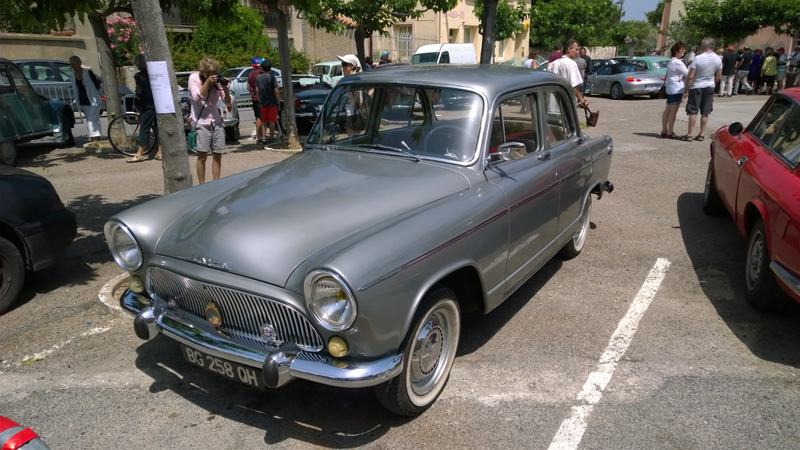 The Midgets MK1 and Sprites MK2 had the square rear wheel arches with quarter elliptic rear springs and a front slatted aluminum radiator grill, almost all parts are interchangeable between the two marques except the badging. #3 vehicles could possess some, but not all of the issues of a #4 vehicle, but they will be balanced by other factors such as a fresh paint job or a new, correct interior where applicable. #3 vehicles drive and run well, but might have some incorrect parts. These vehicles are not used for daily transportation but are ready for a long tour without excuses, and the casual passerby will not find any visual flaws. “Good” is the one word description of a #3 vehicle. #4 vehicles are daily drivers, with flaws visible to the naked eye. The chrome might have pitting or scratches, the windshield might be chipped. Paintwork is imperfect, and perhaps the body has a minor dent. Split seams or a cracked dash, where applicable, might be present. No major parts are missing, but the wheels could differ from the originals, or other non- stock additions might be present. A #4 vehicle can also be a deteriorated restoration. “Fair” is the one word that describes a #4 vehicle. 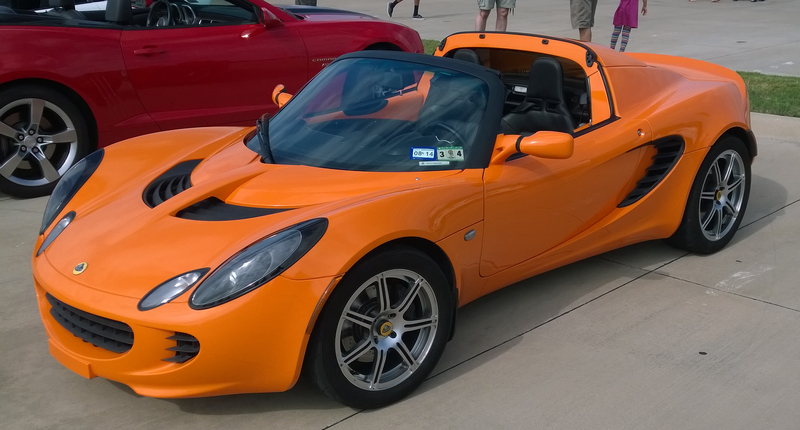 We took the Miata for a drive to Seabrook, TX for the 21st annual Keels and Wheels Concours d’Elegance yesterday. It was a nice day for a drive and the trip was long, but good. Someone in a Lambo stopped and was having their Wendy’s lunch with us, so I snapped a couple of pictures. The show’s mix was their typical boats, brass cars, muscle cars, and of course what I went for, sports cars. I didn’t make it to the show in 2015, but there wasn’t an auction this year like there was in 2014. 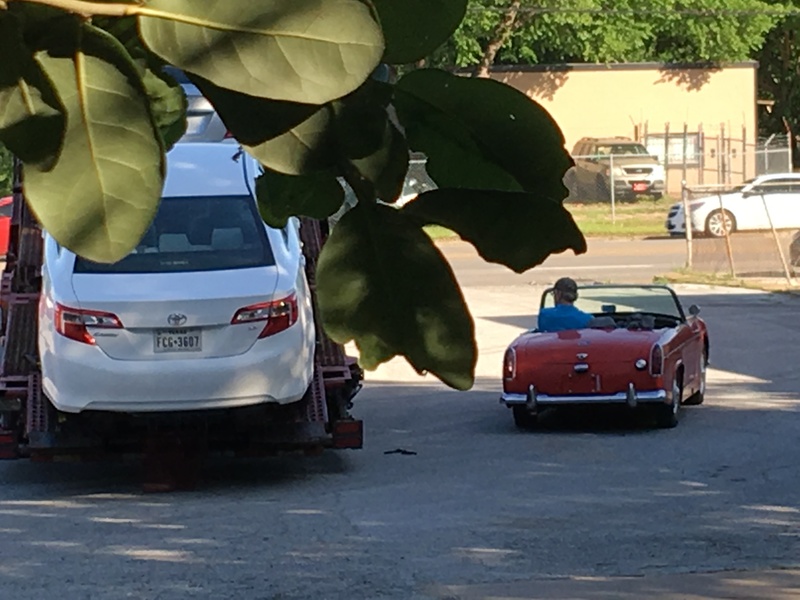 I did chat to Dr. Juan Jose Olivero of Houston, TX about his 1966 Triumph TR4A IRS. 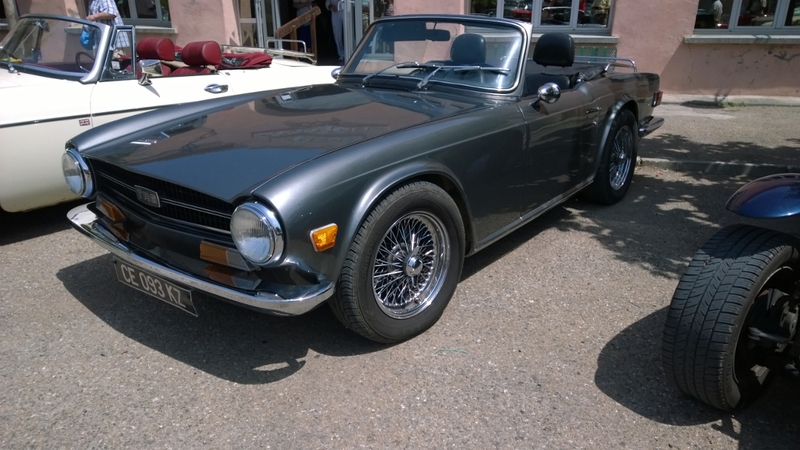 The TR4A is still an affordable classic that Juan was able to purchase in its current restored condition. 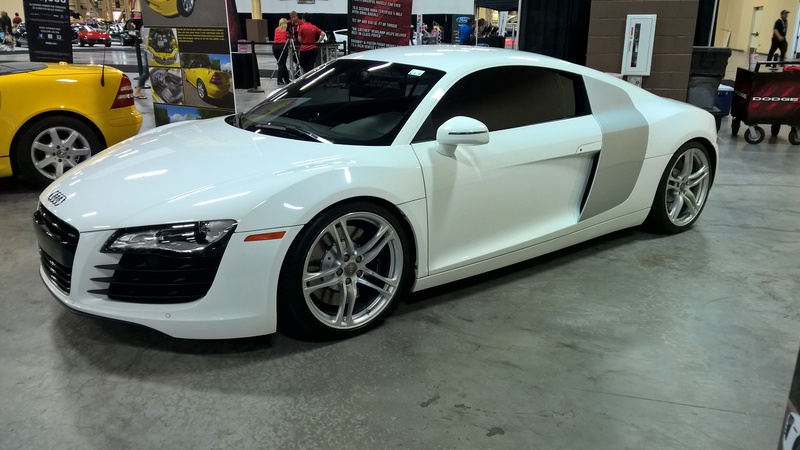 Juan had driven it in from Houston and was able to comfortably keep it at 70 miles per hours. Like many of us, the good doctor is limited by time, space, and money to have all the cars he wants. 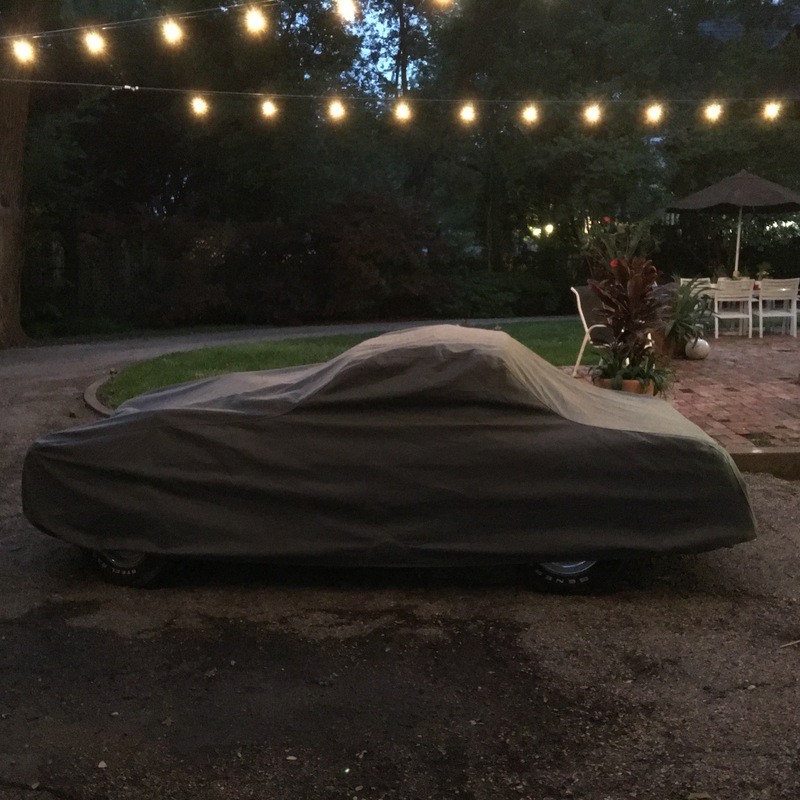 Juan’s son, Juan Jr., is not only a doctor of Nephrology like his dad, he is also a car collector; it seems to run in most families. 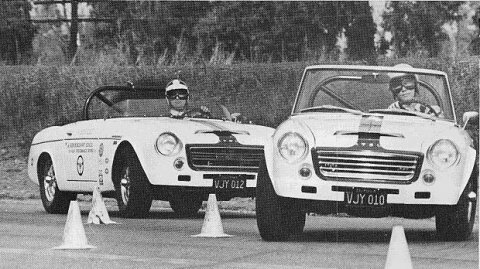 The TR4A was manufactured by Triumph between 1965 and 1967 with the major differences between it and its predecessor, the TR4, being the replacement of the straight axle with Independent Rear Suspension (IRS) and the frame that Triumph modified to accommodate the suspension change. There were other badge, grille, and cosmetic changes as well; overall, a much better car. I hope you enjoy the rest of the pictures as much as I did taking them. 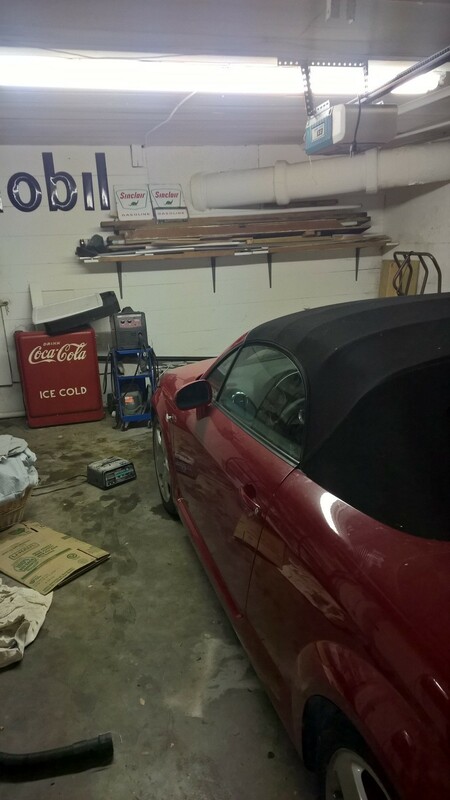 The Audi TT has wintered in my garage with a bit of interior work over that time, but as with many garages, clutter and tools and this and that has accumulated around and it’s now time to put the seats back in, clean up the accumulation of stuff and get the beast roadworthy again. I’ve owned the 2001 TT since 2001 and have only 27,000 miles or so on it, but this summer we have a 6,200 mile trip planned in it, so I’ll want to make sure everything is perfect. I’ll write about the trip and the TT when that time comes, but the real excitement of getting the garage cleaned up and the TT moved out is the new addition to our sports car family; a 1962 MG Midget MK1 (1961 built GAN1). The garage is the new nursery for the rebirth of this classic British sports car. It has been 10 years since I moved into this house and I haven’t taken on an automobile restoration project here yet, so the nursery needs to be equipped almost from the bottom up. 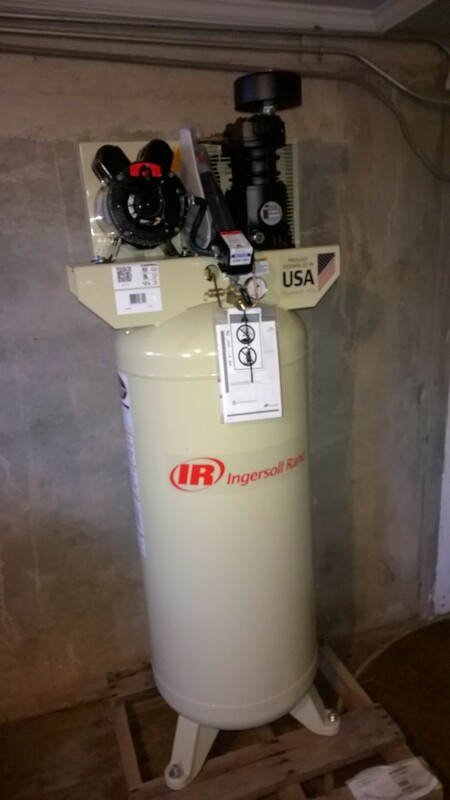 I purchased a 5HP, 230V, twin cylinder Ingersoll Rand air compressor with a vertical 60 Gallon tank that needs to be wired and plumbed. I will be constructing a heavy duty wood workbench as soon as the rain stops, and I’ll need to add shelving for new and old parts and much better lighting to see what I’m doing. Furnishing a nursery can be a fun task. 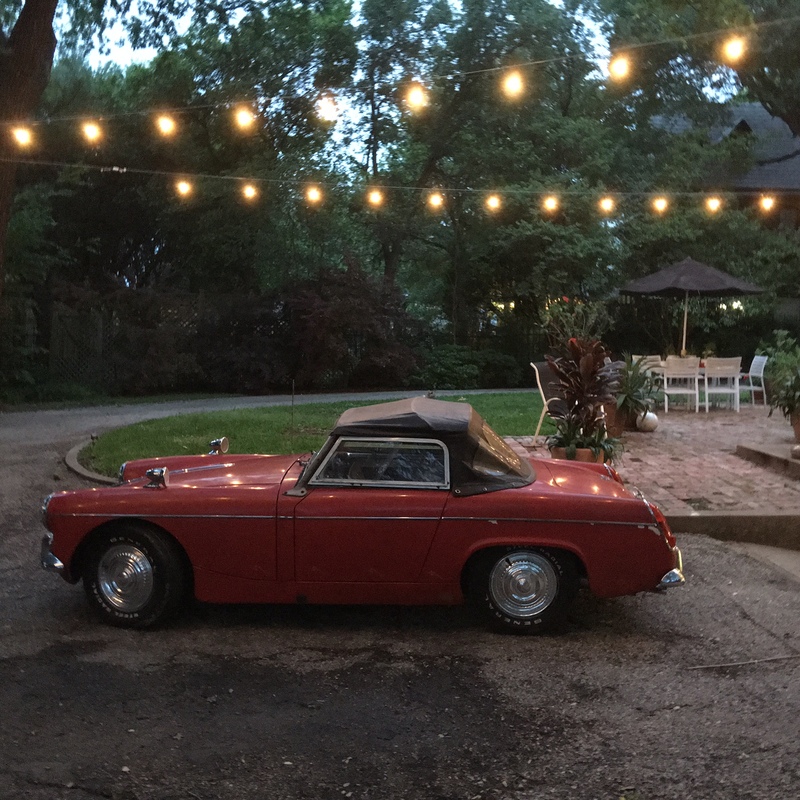 I’ve bought a couple of cars off of eBay (a 2001 Audi TT and a 2007 PRHT Mazda Miata), but I was a little more trusting of the seller of the MG than the other cars. His ad explicitly said that there was no rust through spots on the car. Imagine my surprise when I unloaded the car from the carrier and found that most of the driver’s side floor pan was full of holes and that the passenger side floor pan was completely rusted away. I was very disappointed with the seller to say the least. The floor pans are $157 each from Moss Motors. 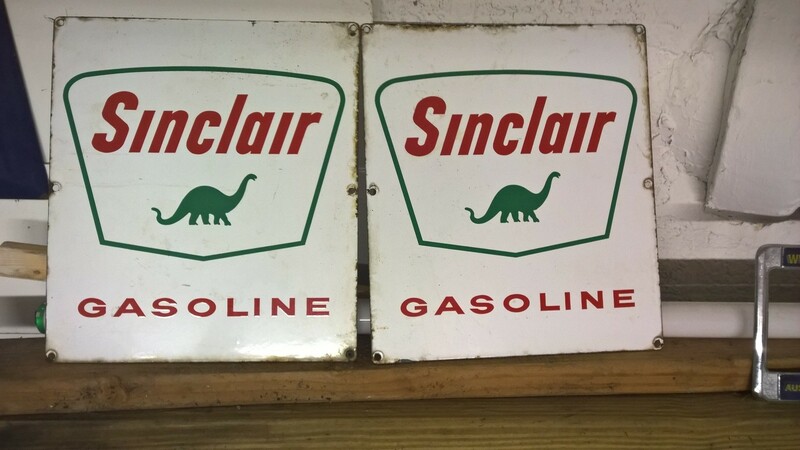 I guess one silver lining to it is that at some point in history someone covered the passenger side hole with two original Sinclair gas pump signs that were in exceptionally good condition. A quick check of eBay shows buy it now pricing of between $150 and $455 per sign, but I would have still rather had good floors than have had to replace them. It makes me worry about what I have yet to uncover. An early MG has always been on my wish list of in expensive cars to own. 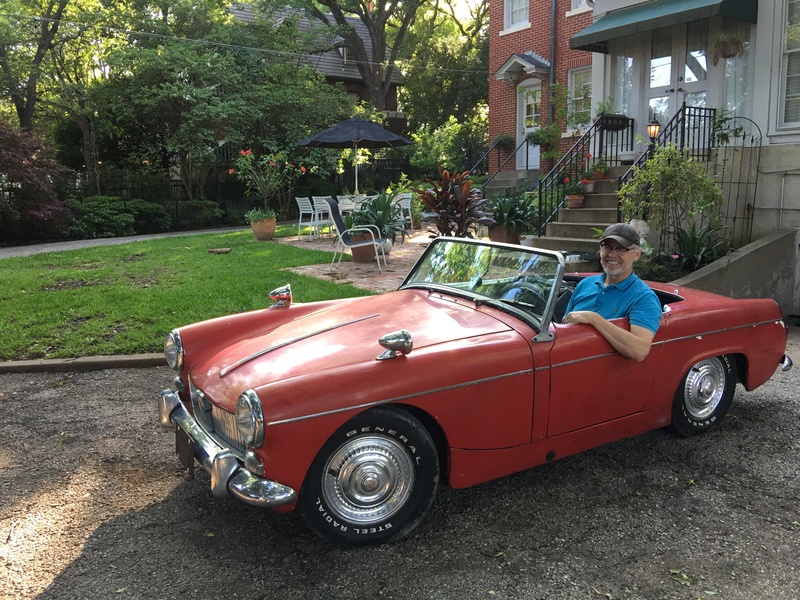 My first car at 15 years old was a 1968 primrose yellow MG Midget that I learned to drive in on the back roads of Pennsylvania. The first car I remember sitting on my Dad’s lap and steering was a 1962 Austin Healey Sprite MK2. It had the sliding Plexiglas windows and no exterior door handles just like my 1962 MK1 MG. It appears that my new project has been three different colors. From the factory it appears to have been Old English White, followed by some color of blue, followed by the current red. Both of the paint jobs after the original had terrible craftsmanship. If you look close you can see brush marks in the red where it was touched up. I haven’t ordered the British Heritage Museum certificate yet, but will soon. I’m thinking I will take it back to the original Old English White at this point, but not completely sure. It will stay one of the original color options from 1962 nevertheless for sure. I pretty much have decided on a red interior. I think the original was black, but I’ve always wanted a red interior car and this will be it. I will be documenting the restoration, so look for more posts coming up. 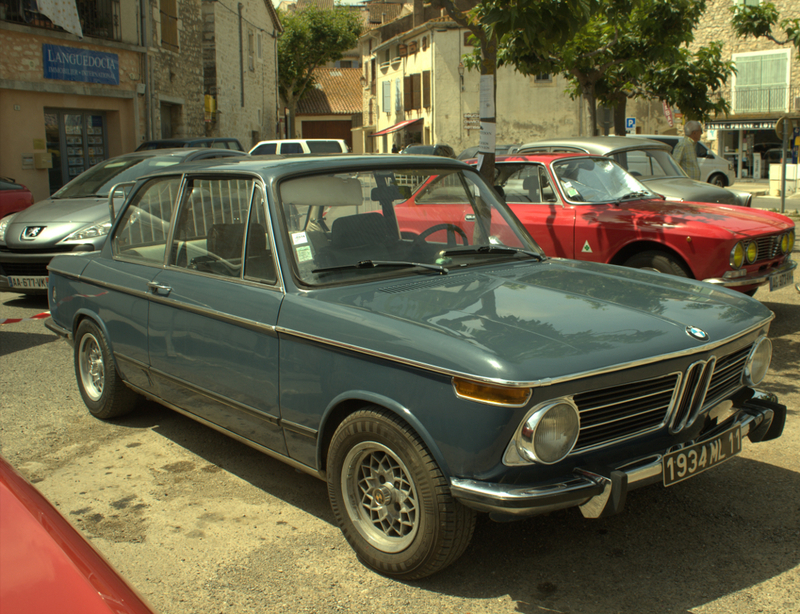 The BMW 2002 is the first car that I can remember wanting to own. 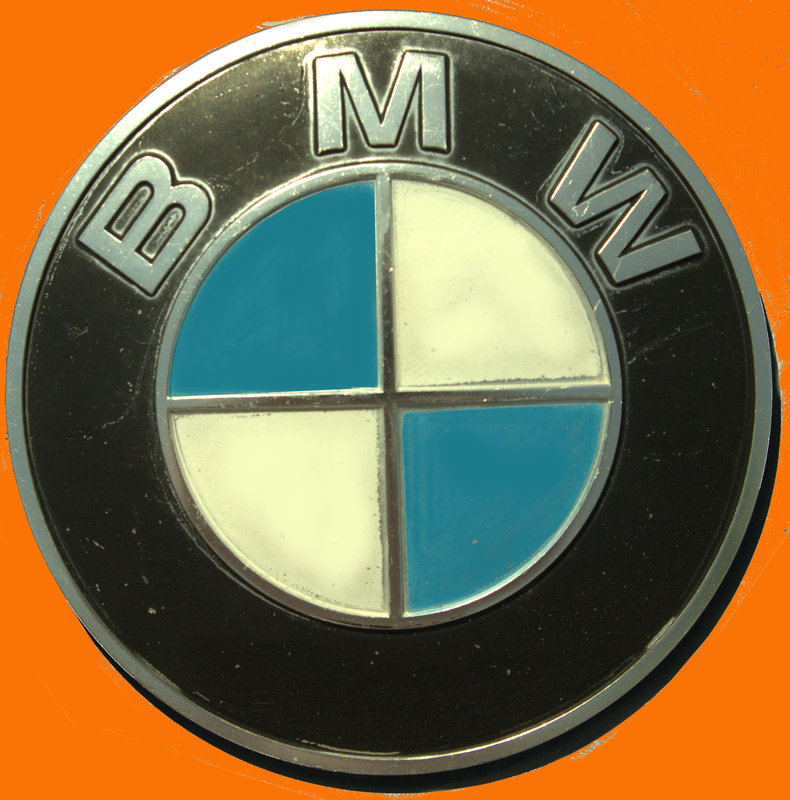 I remember the magazine advertisements from the early 70’s before I was old enough to drive, “BMW the ultimate driving machine”. Whether the ad was true then or now may still be a question, but the ad certainly worked on this future sports car enthusiast. And at the time the 2002 was the BMW to want. Although I’ve owned 325’s and 328’s I’ve never owned a 2002, but it is still on my list and I’m still looking for that ultimate driving machine. 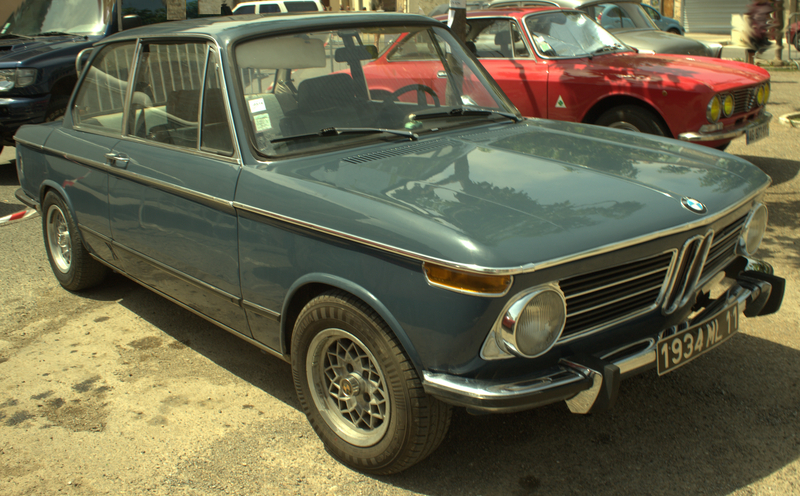 BMW built the 2002 Tii from 1971 to 1976 and of these years the 1971 and 1973 model years had the round tail lights. The Tii version of the 2002 is fuel injected using Kugelfischer mechanical fuel injection system and all Tii models were 4 speed manual transmissions. The 71-73 Tii models also weigh about 255 pounds less than the standard models, at 2310 pounds vs 2565 pounds. The M10 engine is a 1990cc SOHC inline 4-cylinder engine that produced 140 BHP@5800 RPMs for those two years; I have read 130 BHP in some publications, but either way it is very acceptable for a light, early 70’s sports coupe. That BHP is 27 more than the Solex 2bbl carbureted engines of the same years. Almost everything else on the car is the same as the standard model. The Kugelfischer mechanical fuel injection system has a bad reputation in some circles, but it seems that most of the problems that some mechanics do not understand the injection system the adjustments that need to be made. The fuel injection pump uses engine oil for lubrication making it even more important that you keep your machine in a well maintained condition. The early Tiis have intake runners made from molded plastic and the later models were made from aluminum. Although the plastic runners give better flow, the can tend to crack and split. While looks are all a matter of taste, the smaller bumpers of the earlier Tii’s and the round tail lights make them my personal favorite. 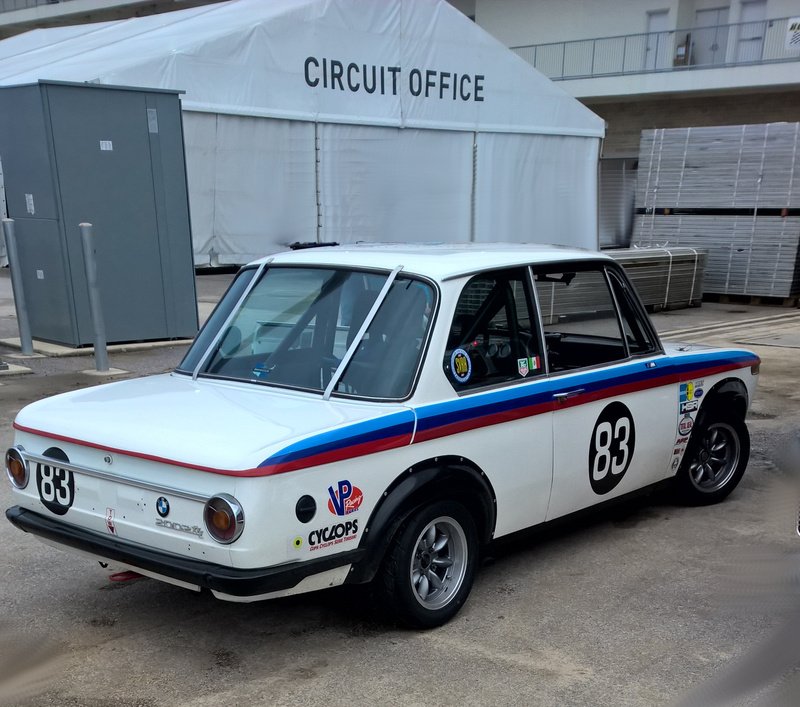 Motor Trend: (The BMW 2002) imbued the everyday car with a measure of sportiness and sophistication, demonstrated that performance means more than going fast in a straight line, and moved BMW a notch up the automaker food chain. 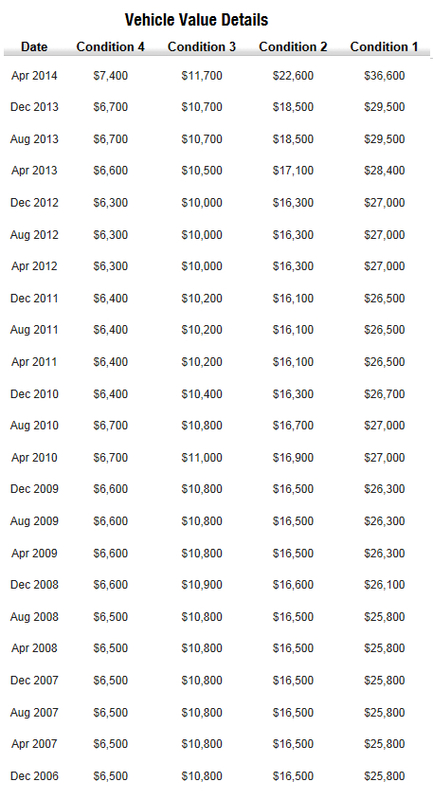 Below is a chart from www.hagerty.com that shows the valuation for the last three years of a 1972 Tii (note, this is one of the places that list’s the engine output as 130 BHP that I mentioned earlier). The 2002 Tii would have provided it’s owner a respectable rate of return and if you look at it over a 5 year period, a great rate of return. Please feel free to quote my post and the chart below when discussing investment and retirement options with your significant other. 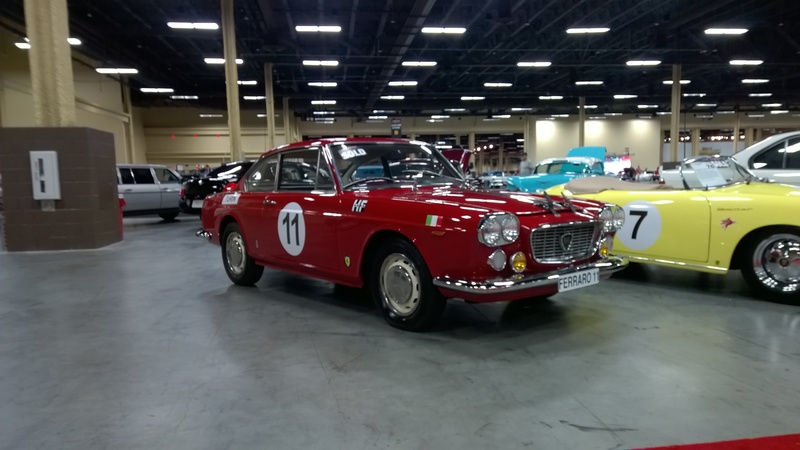 I had been going to the Barrett Jackson auctions in Arizona ever since they were at Legend City in Tempe and that has been since a number of years back, but I have never gone to one outside of Arizona, so I was happy to make it to Las Vegas this year. I expected to be in the parking lot at Mandalay Bay Resort and Casino, but found it almost 100% indoors. The “lot” where the cars were stored was inside a massive warehouse and the auction itself was in an arena that is probably typically used for a boxing match. 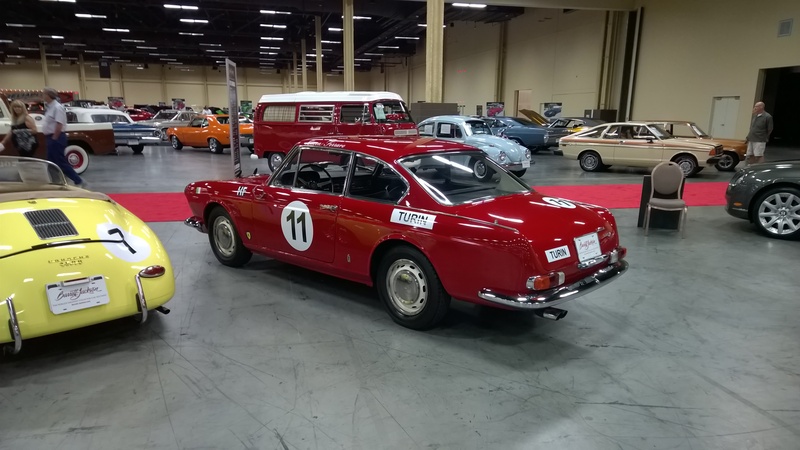 Like many recent auctions Barrett Jackson Las Vegas was dominated by American iron and not many “real” sports cars. 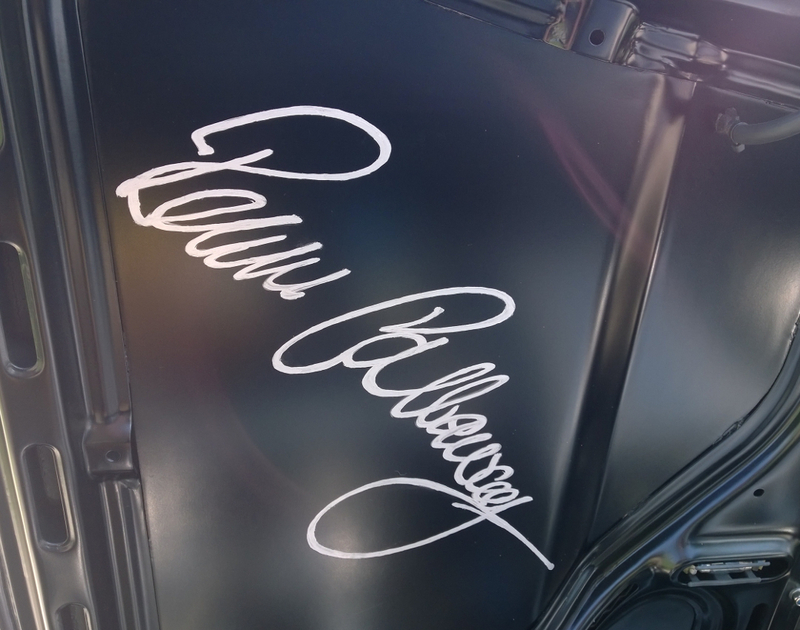 Thursday began with the auction one-of-a-kind automotive collectibles. These collectibles were an eclectic mix of pedal cars, gas globes, service station signs and more including a seldom-available 1990s authorized Harley-Davidson neon dealership sign and several impeccably restored 1950s gas pumps. Many of the signs sat around the auditorium on the main floor. I missed the good old days of the classic European sports and exotics, but got a couple of pictures that I hope you enjoy. You can find the auction results here . 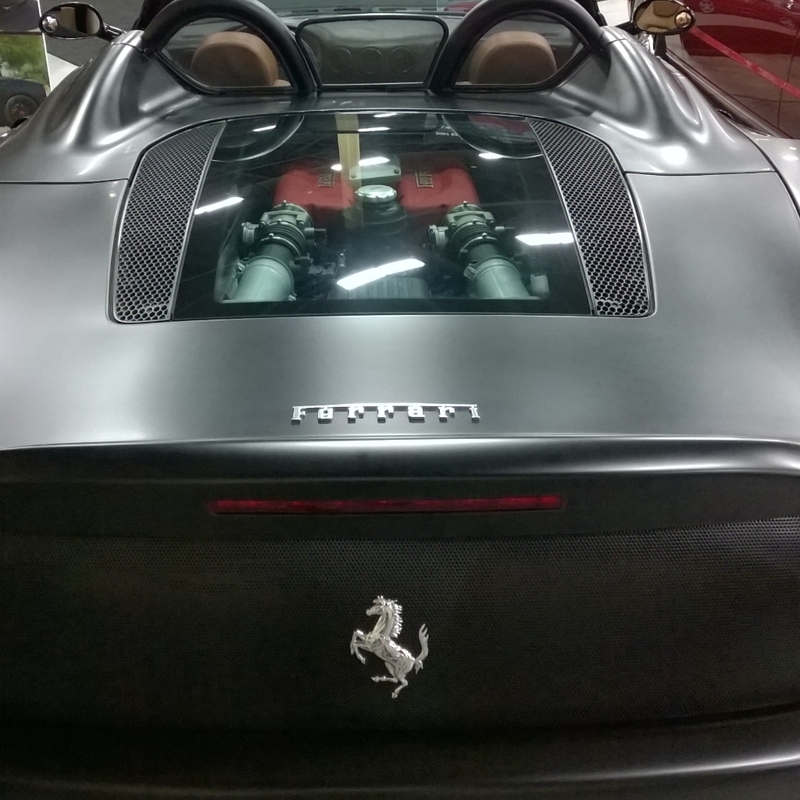 A bit back I identified three cars for investment based on nothing but my personal basis. I chose one car under $5k, one under $10k, and one under $20k. In this post I’m going to look a little more in depth at my under $10k pick; a 1969 Datsun 1600. 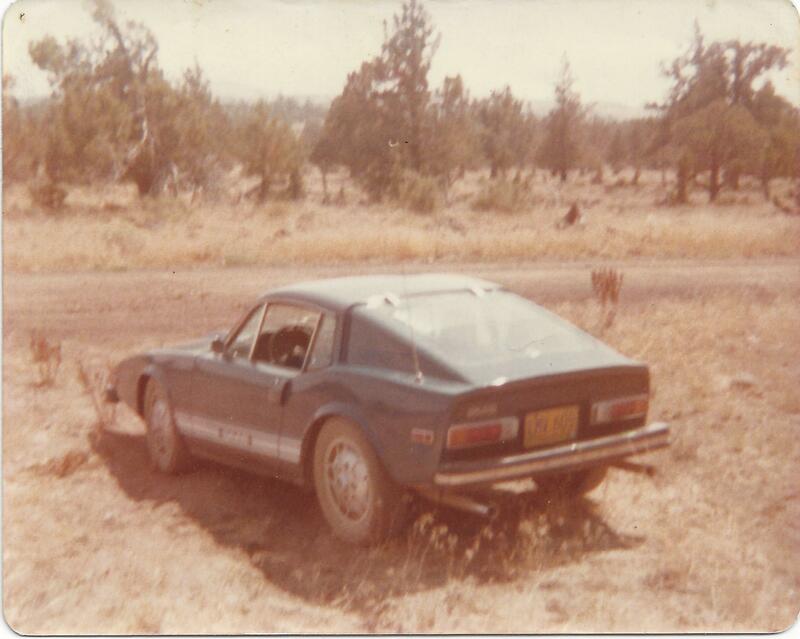 Like my Saab Sonett III pick I also owned a Datsun 1600, so you can see the part about personal bias. Hopefully unlike my Saab Sonett III The Datsun 1600 turns out to be a good pick for investment, because we need some place to put our money besides mutual funds. The picture in the header of the post is your CarReads.com Editor-in-Chief and her brother a few years back in my original Datsun 1600. Its the car that she wanted me to save for her for her first car, but atlas we moved and I bought her a Mercedes SLK320 when the time finally came. 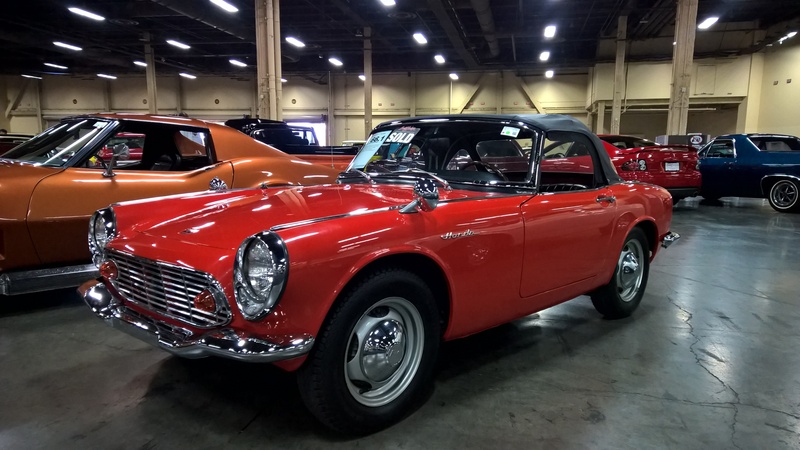 The Datsun 1600 Fairlady is the predecessor to the Datsun Fairlady 2000 and the successor to the Datsun 1500 Fairlady, that was the successor to the Datsun 1200 Fairlady, that was the Successor to the Datsun 1000 Fairlady that was introduced by Datsun into the United States in 1959. 1965 was the year that the Datsun 1600 was introduced and was also known as the SPL-311. The Fairladys have a very British feel to them, the Hitachi SU (Skinners Union) carbonators were made after Hitachi licensed the design from Zenith Stromberg of Britain and the bodies remind you of an MGB. The 1600 had five main bearings instead of three as its predecessors had. The 1600 also had front disc breaks and always felt crisp to me. The 1600 maybe considered the true predecessor to the 240Z since it shared the same underpinnings with the Datsun 2000. The 240Z was one of the first truly modern sports cars and would not have been possible without the lessons learned from the Fairlady development at Datsun. Below is a scan from my book Bob Bondurant on High-Performance Driving, Fifth Edition by Bob Bondurant with John Blakemore, published by Motorbooks International available here at Amazon. 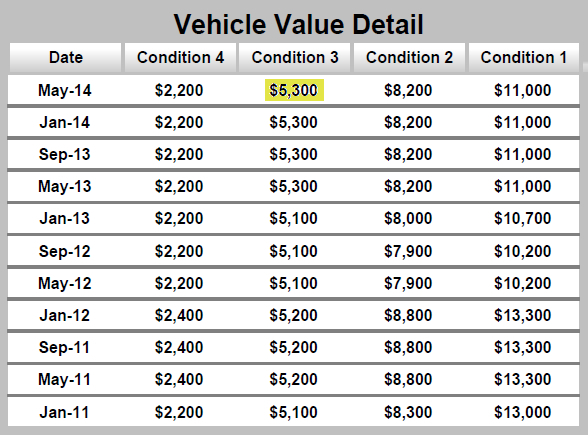 From http://www.hagerty.com we can see that we’ll have to be a good negotiator to get a sub $10k Datsun 1600 in a condition 3, but we can also see that the value has started to rise. Considering that I paid about $1500 for mine 20 years ago, maybe I would have been best to keep it and slowly bring it to show quality. Consider a recent auction sale by Gooding and Company at Amelia Island in 2014 an extremely well presented 1969 Datsun 1600 sold for a whopping $50,600 (http://www.goodingco.com/vehicle/1968-datsun-1600-roadster/). Too bad I didn’t save the 1600 instead of getting my daughter a SLK; but like they say… Hindsight is 20/20. If you had bought this car two years ago, it would be a nice increase in valuation and if Gooding and Company’s recent sale is an indication, the market thinks highly of them too. This is a pretty old book to review, but it is one of my favorites books in my collection and it is still available new on Amazon.com. This is not an in depth technical book and doesn’t really give you much detail on driving impression and such. What it does give you is an overview of the manufacturer from their inception and then a brief one or two paragraph description of that manufacturer’s major models. The author uses a few adjectives, but not enough to really show basis. Each model has a nice black and white photograph, the production numbers and a little about the power plant. The author usually describes the improvements from the previous models and adds just a bit of the technical details like engine size and BHP. The book covers the most obscure cars, that based on looks seem sporting, but may in fact be a kit car or someone’s dream that barely became a reality with only one or two copies being produced. 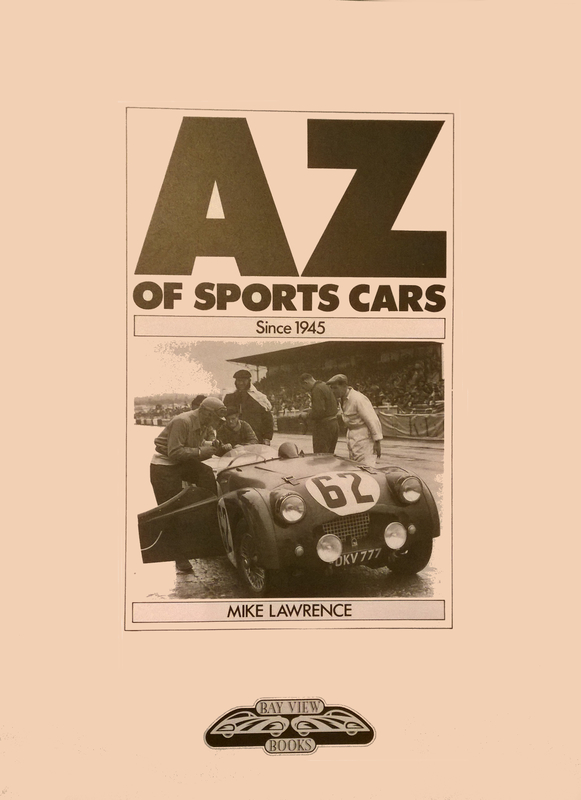 A-Z of Sports Cars, typical pages – the color plate of a 1955 Austin Healey 100s that was built to compete at Le Mans. 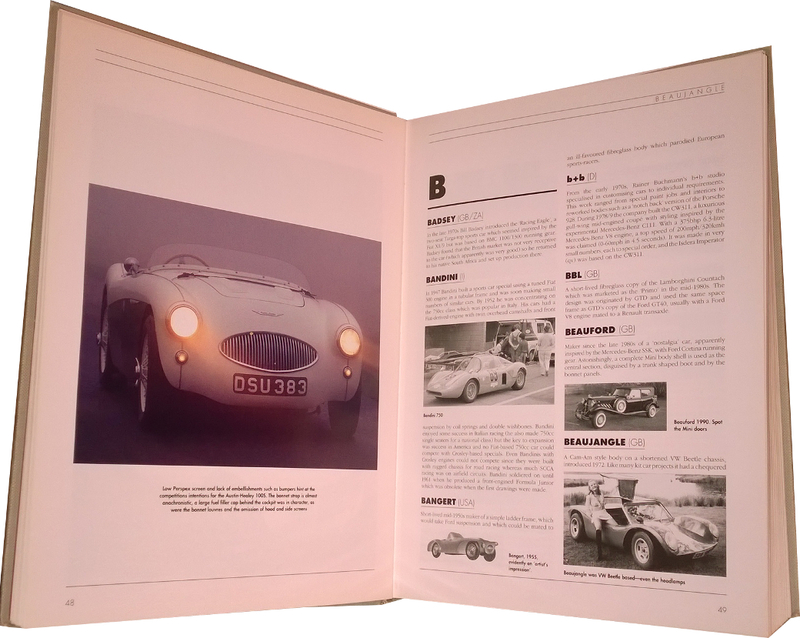 The book is sprinkled with full color plates of the better known sports cars like Lotus, Porsche, Ferrari, and the like. While this book won’t satisfy every itch, it reminds me of my childhood as Christmas was approaching and mom gave me the Montgomery Ward’s catalog to make my wish list from. If you are like me you will “study” every page and imagine yourself driving every one of them. A bit back I identified three cars for investment based on nothing but my personal bias. I chose one car under $5k, one under $10k, and one under $20k. 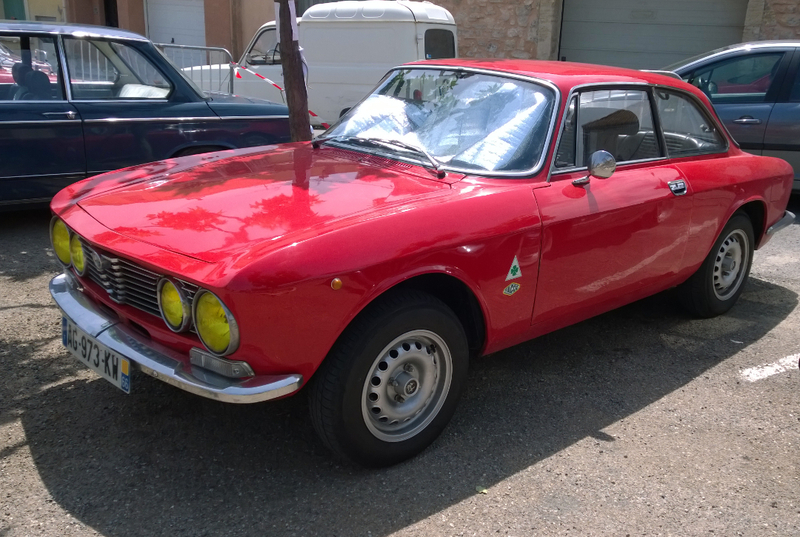 In this post I’m going to look a little more in depth at my under $5k pick; a 1973 Saab Sonett III. The Saab Sonett at the head of this post and below is my 1973 Sonett III from 1977. It was my third car purchased after a 1969 MG Midget and a 1972 Datsun 1200. I bought the Saab at my first duty assignment out of tech school in the US Air Force. It is the car I took my future wife home in the first time I met her, the car I taught her to drive in, and a car I had many wonderful experiences driving, camping in, and caring for. From the photos you might not think it was well cared for, but all I could afford at the time was a Kodak 110 instamatic, so the pictures don’t do the car justice. 1973 Saab Sonett III rear view. At one time Saab was primarily an aircraft manufacturer and that fact was heavily used in their advertising. The picture of a Sonett with a Saab jet sitting behind it. The Sonett II and III were produced between 1966 and 1974 and 10,219 of them were produced and a subset of that total of 8,368 Sonett IIIs were manufactured between 1970 and 1974. The first Saab Sonett IIs had a 841cc three cylinder, two stroke engine that would run on ordinary fuel. From 1967 to 1971 they were powered with a 1.5 liter Ford V4 engine and they have always been front wheel drive. The V4 engine produced a whopping 65bhp. 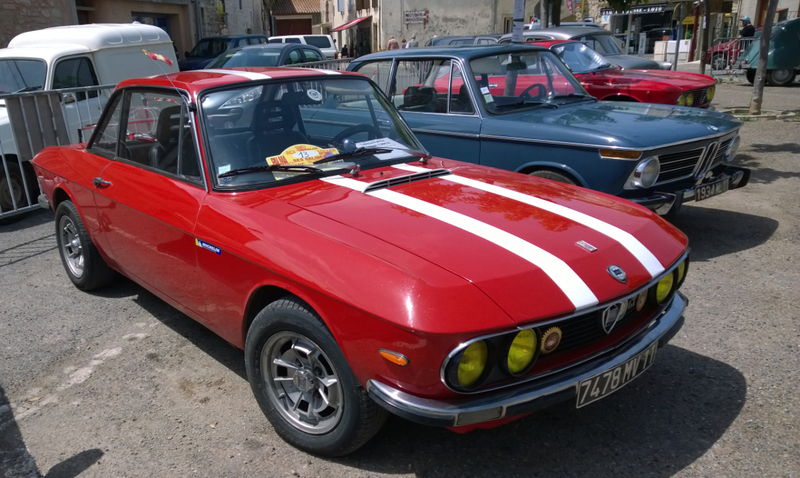 In 1971 the displacement increased to 1.7 liters and the engine produced 75bhp and could now top 100mph, or by my speedometer at the time 105mph. In 1970, Sergio Coggiola design of the Sonett III extended the fiberglass body of the Sonett II by five inches and used the original floorpan. The Saab Sonett III was never succeeded by another sports car from Saab although they have had many fine sports sedans and coupes, not a car that completely embodies the qualities of a sports car like the Sonett. So, as we can see…. you can get a condition 3 Sonett III for about $5k, but not a great one and you are going to have to negotiate a good deal. Looking at the same chart it looks like the Sonett III values have actually stayed flat or even gone down in recent years. Has the market stayed flat because so many Sonett III were made? Well, in 1967 Porsche made 4141 901 models of various variants, many more than Saab made of Sonett III in any one year and the Porsche 901 models have skyrocketed in recent years. And of course there are so many stories of cars collected at moon high prices because of their rarity. It seems that the Saab Sonett III was never a highly desirable car, it was a nitch car, or curiosities at best in terms of value. I’ll probably still buy another Sonett II or III eventually, mostly out of the feelings I have about them from my great experiences, but based on what I found out, I won’t be recommending them to my friends instead of a good mutual fund. DON’T BUY!!! (for a great investment anyways). Sports Coupe, two doors, two seats, 800.6kg/1,765 lbs. Semi-monocoque welded steel and fiberglass body, independent unequal length arms, coil springs, rear beam axle, coil springs, telescopic shock absorbers, Front disc brakes, rear brake drums, twin circuit braking, rack and pinion steering, 60 liter fuel tank, 155SR15 tires, 4.5″ rim. 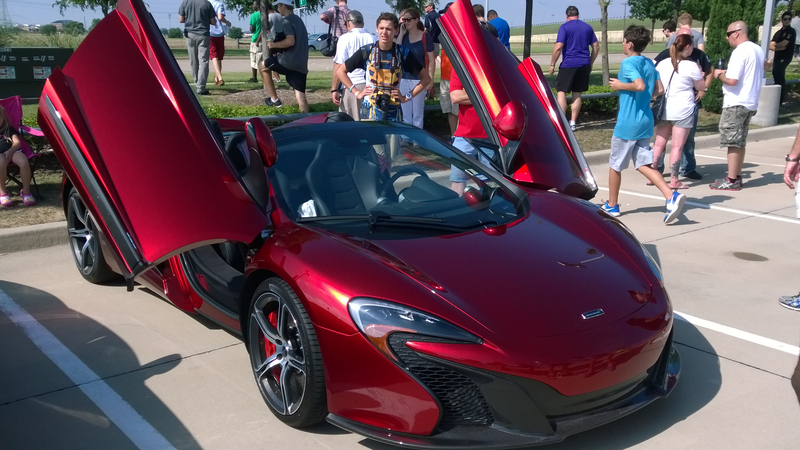 Cars and Coffee are shows that take place world wide. I’ve been to the Dallas one twice and it has been a treat both times. Last weekend I got a little late start and didn’t arrive until around 9:30 AM and a lot of the cars had already started to leave. There is no charge to show your car or be a spectator, so look them up and get out as often as you can. 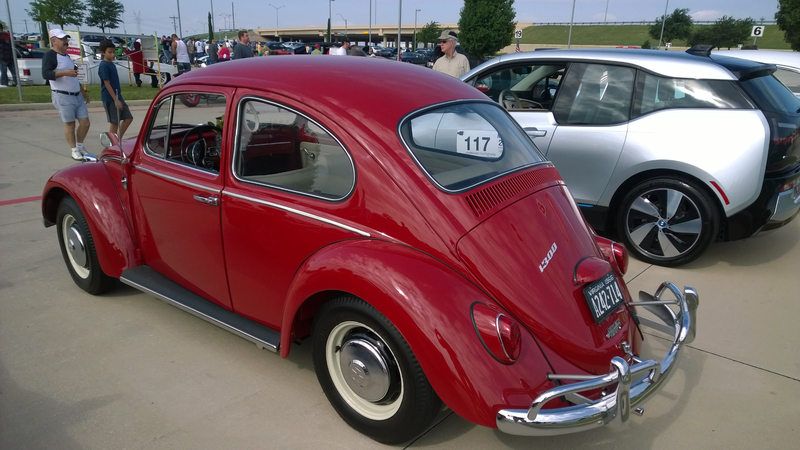 The Dallas show is actually held at Classic BMW in Plano. 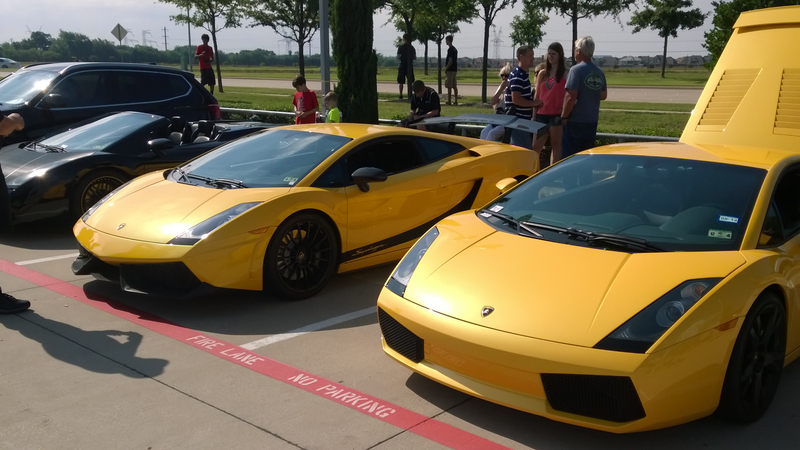 I don’t know how the other Cars and Coffee gatherings are around the world, but in Plano there are all kinds of cars from 60’s Volkswagens to a Lamborghini Aventador and everything in between. Because I was late and the cars were already starting to leave I got to listen to some of the best engine sounds as the V10’s and V12’s were pulling out of the lot and putting on their own show for us spectators. 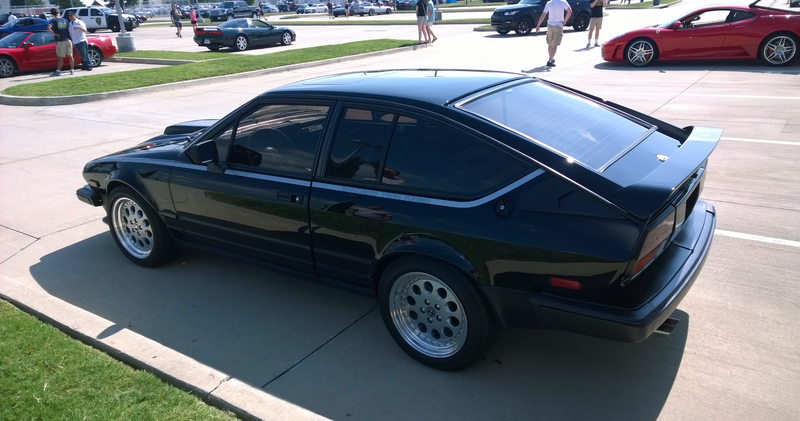 I ran into Val Herrera with his Alfa GTV6 Callaway and got to talk to him for a bit about the history and acquisition of the car. Val does great work and takes a lot of pride in his cars. 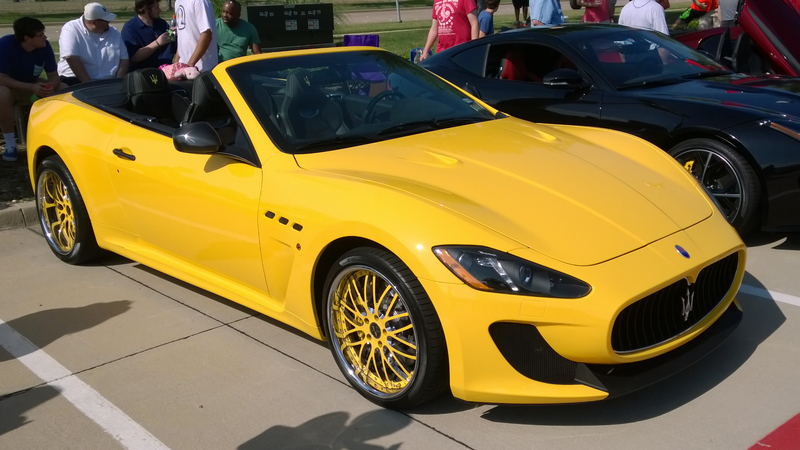 There were several exotic cars; besides the Aventador there was a pair of yellow Lamborghini Gallardos, a Ferrari F430, a Jaguar F Type, an Audi R8 V10, and a McLaren 650S Spider plus a handful of more common exotics like a Lotus Elise and a Ferrari 328. Enjoy the pics and I’ll post more on Instagram or the CarReads.com Facebook page. 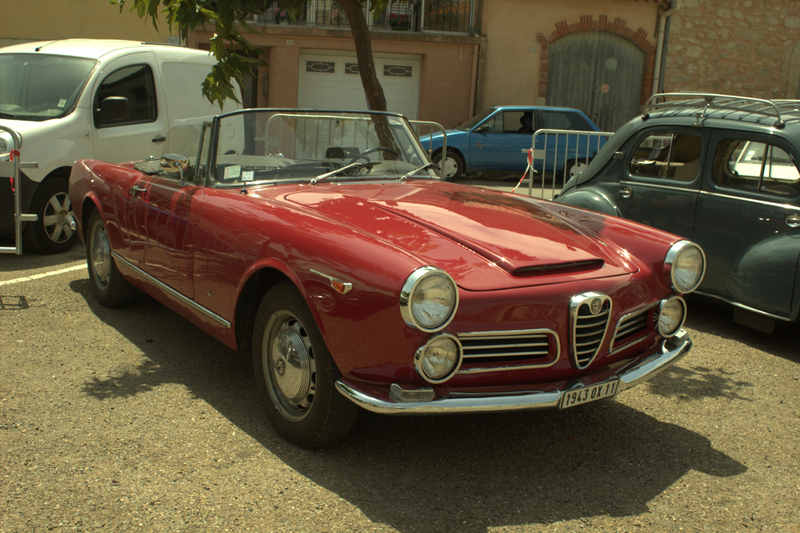 Who would have guessed that Peyriac De Mer, France would be such a great place for sports cars? This seemingly sleepy little town in the south of France has one pizza shop, a tabaco store, a bakery, a grocery store slightly smaller than a 7-11, and one restaurant/bar. 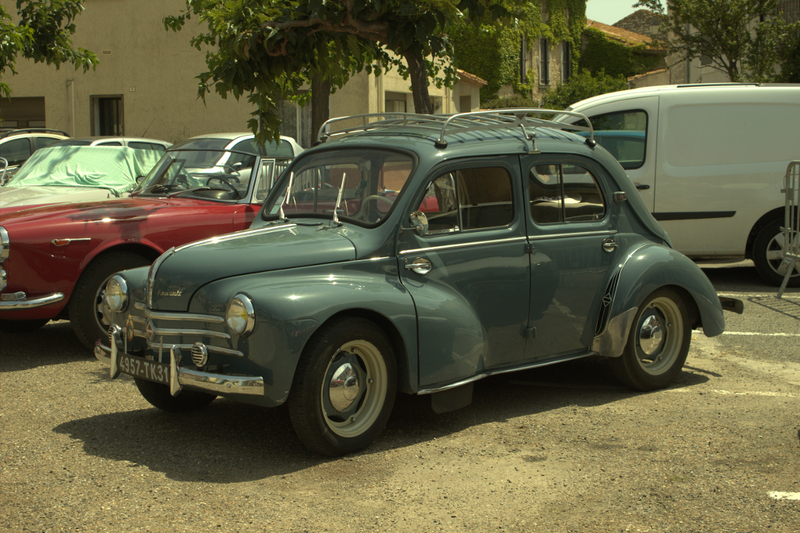 I stayed there 5 days and on two of those 5 days they had sports car shows; the AC Owner’s club of France and this group of beautiful cars that motored in while we were out at the Carcassonne castle doing the tourist thing. After such a great show for us with the AC club, I jokingly told my wife that I hope they have another group of cars for us to enjoy when we got back from the castle; and wow did they. If you have been to France you know that not everyone knows English and some of those that do won’t let on, so here again I had a language barrier and had little interaction with the owners, but I hope you enjoy the pictures anyways.